It’s that time of year! A new issue has landed. As it’s our first edition of 2019 we decided to freshen things up a bit, particularly as we widening our distribution and the magazine will be available internationally, from Barnes and Noble in the States, to niche shops across Europe, Asia and Australia! So exciting but also slightly terrifying as making this leap was a big risk for us financially, and I just hope it pays off and gives our international readers an easier option for getting their hands on a print copy. Please do tell friends and family around the world to go seek it out! Perhaps the most noticeable update is to our cover layout. We’ve still kept the minimal, fresh look, but just shifted things around a little. For the purists among you, I hope the barcode on the cover does not jar. This is actually a requirement of moving into the US market, and I wrangled with this for a while, but in the end I found it doesn’t offend me greatly, and is something which is actually on the majority of mag covers, and we don’t tend to even notice it. I’d love to hear your thoughts on the new look! Inside, we still have lots of our regular features - home tours, creative spaces and Instagram Edit for example - but we’ve added a few new features including a plant care guide by Sophie Lee of geofleur, and Seek Inspire Create - inspired by our hashtag - which focuses on the creative talent from a particular town or city. Our loose theme for this issue was Playful - which was interpreted in a number of ways - from playful interiors to family life through to playful creativity and how to involve play in your working day. It’s a fun edition packed with joyful spaces, interesting stories and bags of inspiration for your home and life. The other exciting news is that we are widening our distribution internationally. I don’t have a full list of stockists just yet, but it will be available in certain Barnes & Noble stores in the USA, as well as stores in Australia, Austria, Belgium, Canada, Iceland, Italy, Japan, Portugal, Singapore and Spain. I will post the details of where and when as soon as I can. In the meantime, I wanted to share with you a little sneak peek! Some of you might have noticed that we have been making some changes to the design. We have a lovely new look cover, and while things inside are still very much in keeping with our style, we have also introduced a few new features. The eagle-eyed amongst you will have spotted we are no longer calling the issues SS or AW, but instead this is Volume 7. The reason for this is that we have always aimed to make the content non-seasonal so that it remains evergreen and can be read and enjoyed at any time, even if you are purchasing back issues. With this in mind, it seems more logical to catalogue them as volumes rather than by season. And now, on to revealing some lovely images from the issue! First up, the cover…. This issue is inspired by the word ‘Playful’. This idea has been referenced and represented in various ways throughout the pages, from family homes that have brought elements of childhood into their interior in a stylish way, through to designers and shop owners who use colour and pattern in exciting and fun ways, through to looking at how to introduce play into your working life. No matter your age or personal and professional situation, play is an important part of life and promotes feelings of happiness and contentment. We hope this issue encourages you to be more playful too, we have certainly had lots of fun putting it together! Dreamy right?! Make sure you don’t miss the issue by subscribing or pre-ordering. Pop to our shop where you will find both options. Join us on our first Seek Inspire Create day out! Over the last year, it’s been a bit of a dream of mine to bring 91 Magazine to life through days out with our readers. I spent months mulling over what these days could involve, how they could be structured and what they would bring to the people who came along. Then one day, in the summer, I had a brainwave. I knew exactly what I wanted to do. For once, instead of rushing head first in to organising it, I have taken my time - thinking, planning and talking to others, and made the decision to launch this idea in 2019. It has been a slow burner (by my standards!) but I kind of want this to be reflected in the day. While we will pack lots of fun stuff in, I hope that it will feel relaxed and slow, and will allow attendees to soak up the atmosphere, get to know us and each other and enjoy a full day of creativity and inspiration. I’m thrilled to share that we are now selling tickets to our first ever Seek Inspire Create day out on the 25th February 2019. It will take place in Lewes in East Sussex, a town filled with independent businesses and creative folk - a place I’ve enjoyed visiting to shop and explore over the years. The idea behind the day is inspired by the hashtag I launched on Instagram around two years ago - #seekinspirecreate. This phrase also went on to become the name of our quarterly e-zine, and it was these three simple words that struck me that day in the summer as being the perfect structure for our days out. I wanted to bring lots of different elements to the day - all of which represent the ethos of 91 Magazine. The day in Lewes will begin with SEEK where we will visit three independent shops. Not only we will have time to explore these beautiful spaces and shop (wth discount! ), each shopkeeper will spare us some of their time for a chat sharing some insight and expertise. Simon, proprietor of Marchand Son will talk to us about his own brand of eco-friendly paint. I, for one, hope he will explain the stories behind some of his paint colour names! Onwards to Freight, and a chat with shopkeeper Adele about mindful shopping. Finally, Victoria, owner of lifestyle store From Victoria will do a mini Q&A about house plants - so come armed with your plant care queries - I know I have many! Next, we will move on to the INSPIRE section of the day. And to get inspired, first we must refuel! So we will take a walk up to Inglis Hall - a kitchen design company whose Lewes showroom houses a beautiful fully working kitchen, where a delicious lunch will be prepared for us by Caccia and Tails, a pasta & focaccia bar based in the town. Over lunch, we will have two talks from local creative business women. First up Dorte and Georgie, the brains behind Social Pow Wow, offering digital marketing help to small businesses. They will talk specifically about how to use Pinterest for business, something many of us are not utilising well enough in our businesses. Following this, Jade Golding will talk to the group about how to inspire your customers and the importance of motivational and influential selling tactics. Jade runs lifestyle store The Little Deer and is also a creative business coach. Whether you are an existing business owner or it’s something you aspire to, both of these talks are sure to provide lots of knowledge and insight. Bring your notepads! Finally, we will walk off our lunch with a stroll over to AS Apothecary for the CREATE part of the day. AS Apothecary is a skincare brand with a difference. Their natural products are produced in small batches from ingredients picked directly from nature, and owner Amanda is truly passionate about ethical production and simply creating wonderful formulas that are kind to both us and the planet. Her beautiful store will be where we end our day learning how to make our own natural beauty balm to take home over a reviving cup of herbal tea. Our attendees will hopefully leave with a head full of inspiration and a sense of a day well spent. Time surrounded by like-minded creative souls, learning, chatting, creating together. And, did I mention the goodie bags?! Everyone will leave with a little package of loveliness to take home, plus some further tips for exploring Lewes if you have decided to make a trip of it. I have curated this day in the same way I curate 91 Magazine - with passion for the things that excite me - independent businesses, creative people, beautiful interiors, great food and appreciation for hand-crafted goods. It is everything I look for in a perfect day out and I hope you will agree! It’s a great chance to spend time with a friend you haven’t seen for a while or the perfect way to socialise and make some new friends with like-minded folk. Come and be part of the first ever ‘real-life’ 91 Magazine experience! We are so excited to meet you! Our A/W 2018 issue is here! Yesterday I had a message from one lovely reader to say how excited she was about the new issue arriving and that it is the highlight of her autumn season. Wow, that honestly makes me beam with pride that 91 can bring so much joy to those who read it. I can’t tell you how much hard work and pure love goes into creating it, but what truly makes it all worth it, is hearing the words of anticipation, enjoyment and encouragement from our readers. I often hear people say that they don’t buy magazines anymore, and that was exactly the reason I started the magazine - as I couldn’t find any I enjoyed anymore - but I hope that 91 has restored your love of magazines too, and will continue to do so for anyone who had previously lost faith in magazines. We only publish twice a year, but our ethos is most definitely quality over quantity. So, here it is. Our A/W 2018 issue - our sixth print issue. In this edition, we shine a light on ethical living, visiting venues and talking to brands for which sustainability is at their heart. Our columnists talk about how living ethically can boost creativity, how to have strong ethics when running a small business as well as how to build a brand from scratch. We connect with the makers community via our Instagram Edit, and as always visit beautiful homes of creative people. We always find so much inspiration in shops, studios and restaurants, so we share some truly beautiful spaces with you, as well as recipes, styling ideas, shopping tips and more. If you haven’t yet ordered your copy, then I hope this little peek at what’s inside has convinced you to treat yourself (or a friend!) - get it delivered direct to your door by ordering here, or check out our stockists list for where to find it near you. And don’t forget, we absolutely love to hear your feedback and see your pics, so do share online with our hashtag #my91magazine - we may even share your pics on our Instagram feed or in the next print issue! Some changes to 91 plus AW18 issue sneak peek! It's our favourite time of year again - when we finally get to reveal what we've been working on for the past few months! Our AW18 issue is coming together beautifully and it is now possible to PLACE YOUR PRE-ORDER! Woo hoo! I also wanted to let you know about a few minor changes we are making to the magazine going forward. These are made in the hope that we can continue to produce the best magazine we can. Firstly, we are increasing the number of pages in the magazine - it initially started back in 2016 with 100 pages. In AW17 we quietly upped in to 108, and for this brand new issue you will find 116 pages filled with loveliness! YAY! The other change is that we are increasing the cover price from £7 to £8. This is, of course, a reflection of the additional pages, which in turn affects not only our printing costs but also production costs in terms of the lovely features our team and contributors create. We have also decided to change printers due to various problems in the past, which has had a small knock-on effect to our costs, but we hope that the quality will be improved in light of this. Without further ado, here is a little sneaky peek at some of the images you will find in the new issue. Our inspiration for this edition is ethical living, something we feel very in tune with and wanted to highlight. We visit the home of Emily Mathieson, founder of online store Aerende, we fall head over heels in love with the studio space of skincare brand La Eva, and we share some gorgeous ethical homewares and how to style them. Plus lots more gorgeous homes and work spaces, styling ideas and creative inspiration for your home, life and work. That is literally a tiny snippet of the gorgeousness that is in the next issue. It will be out at the beginning of October, so if you get your pre-order in now it will land on your doormat around the 9th/10th October, all being well. I do hope you will add this new issue to your collection! Our S/S 18 issue is here! Furthermore, this issue takes us from London to The Netherlands to the Isle of Wight to Bristol to Bordeaux, exploring gorgeous spaces to share with you - homes, shops, studios, cafes - all with intriguing stories of creativity behind them. ORDER THE S/S 18 ISSUE NOW. PRE ORDER SS18 and a sneak peek! Our SS18 issue is inspired by one of our favourite things this time of year (in fact, all year round!) - flowers! We share some of our favourite flower shops, show you how to craft and cook with them and much more. As always, we have a selection of wonderful creative interiors to share with you: The home, shop and workspaces of jewellery designer, blogger and all round creative Artemis Russell, the studio of Julia Grant of Winter's Moon and the stunning shelves of Clevedon shop Midgley Green are just a little taster of what you'll find inside. AND, as if the new issue isn't exciting enough, the first 200 people to pre-order the magazine will also receive one of these gorgeous greetings cards by paper goods brand Dear to Me Studio! We love the painterly design and it celebrates our floral theme perfectly! You may remember back in September last year we took part in the first Occasional Home Store event in North London - you may even have come along! It was a fab day, with a wonderful collection of indie brands selling their contemporary and vintage homewares. We were thrilled to hear that due to it's success, the Spring edition of the event is happening this March! We won't be selling the magazine this time as we are nearly sold out and the SS18 issue won't have arrived yet, BUT we are excited to announce we will be running our first ever workshop at it instead! 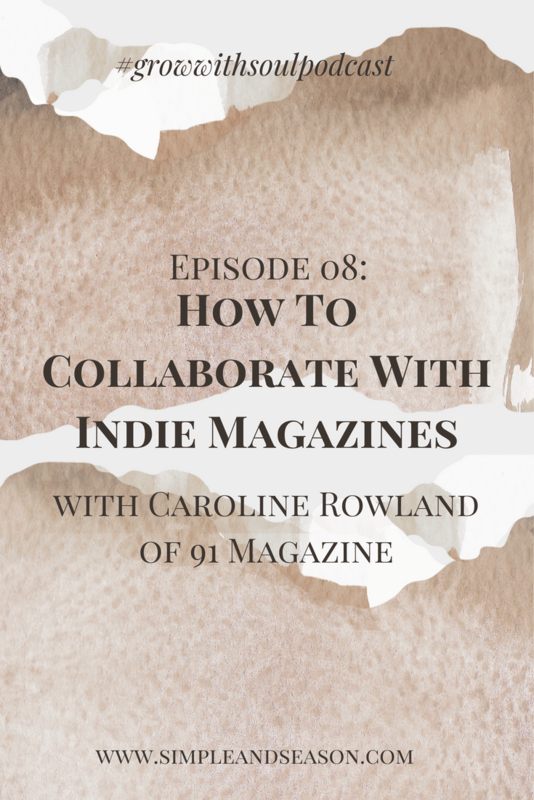 Style, Shoot, Edit & Curate with 91 Magazine: Tips and advice for creating great visual content for your Instagram or blog with the 91 Magazine team. 91 Magazine publishes a biannual print magazine, a quarterly e-zine and a blog, all filled with beautifully curated content and photography. In this workshop, editor Caroline Rowland and 91 photographer Jemma Watts will be sharing their knowledge on how to best style, shoot, edit and curate your own images whether it’s for your Instagram feed or blog. There will also be the chance to have a go at shooting some images on the day under their supervision. Get inspired by their hashtag #seekinspirecreate and you may even see your image published on one of 91’s platforms! If you'd like to join us it is in Hackney (more info below) on the 3rd March at 1pm-2pm. Tickets are £18. Purchase tickets here. If you just fancy a spot of shopping, then you won't be disappointed as there is another fab line up of sellers this time round. Some featured in the last event such as &Hobbs, Pea Style and Plum & Ashby, plus a few newcomers who we are excited to shop with - Nook shop, Ondine Ash and Meylor Paper Goods, to name a few. The event has a new venue too - this time it's in Hackney at the West Reservoir Centre - so put Saturday 3rd March in your diary folks! We hope to see some of you there! Here at 91, we love to feature homes of real people, homes that have been designed and styled by their owners in a creative way, that reflect fully their lives, personalities and style. We love to champion creativity and small business in all it's forms, from homes and shops and studios, to photography and craft, so when we heard about the UK Interior Awards launching this year, we felt thrilled that real people and what they create at home and at work are going to be rewarded. The full details for entering are on the website, entries will open on the 9th February 2018 and close on 23rd March 2018. Photo Jemma Watts - home of Kelly Love featured in our AW16 issue. The other exciting news is that as one of the judges, our editor Caroline will select one of the winning homes to feature in a future issue of 91 Magazine! She will be judging alongside stylist Pippa Jameson and print designer Anna Hayman, who you can find out more about here. So, if you think your home might be worthy, pop the date in your diary and don't forget to nominate your favourite shops, B&Bs and influencers too! Let's all show support to our fellow interior lovers! Follow the UK Interior Awards on Instagram for updates and check all the criteria for entering here. Best of luck! The A/W 17 issue is here! The AW17 issue has finally landed and it has more pages than ever - an extra 8 pages of beautiful content for you to enjoy! This time we have a subtle textiles theme running through the magazine, perfect for getting snuggly in the colder months. How much to you just want to clamber into that bed on the cover?! We've been overwhelmed by how many of you have pre-ordered this new issue, it has broken a record for us, and we are so pleased that more and more people are discovering and enjoying 91 Magazine. It is a learning curve for us with every issue, and we really hope that you find each one as inspiring as the last. Here's a little peek inside the pages - at the homes, studios and other creative spaces that we have explored. It truly is a beautiful collection of places to discover and be inspired by, so if you haven't already got your copy on order, then hop straight over to our shop page to get yours delivered to your door. HUGE thank you as always goes to Team 91 - Laura, Kath, Lucy, Olivia, Catherine and Melissa - you ladies are ACE! And also to the wonderful contributors who fill our pages with their stunning images and inspiring words. I'm so proud of what we have created, and I thank every single reader for picking up a copy and supporting us. Don't forget to share your pics of the magazine online - using the hashtag #my91magazine - you will find us on Instagram at @91magazine. Make sure you pop on over and place your order so you can get you copy as soon as they arrive here in October! PRE ORDER NOW. The AW17 issue is bursting with beautiful homes and creative spaces and we get cosy & snuggly with our textiles theme. 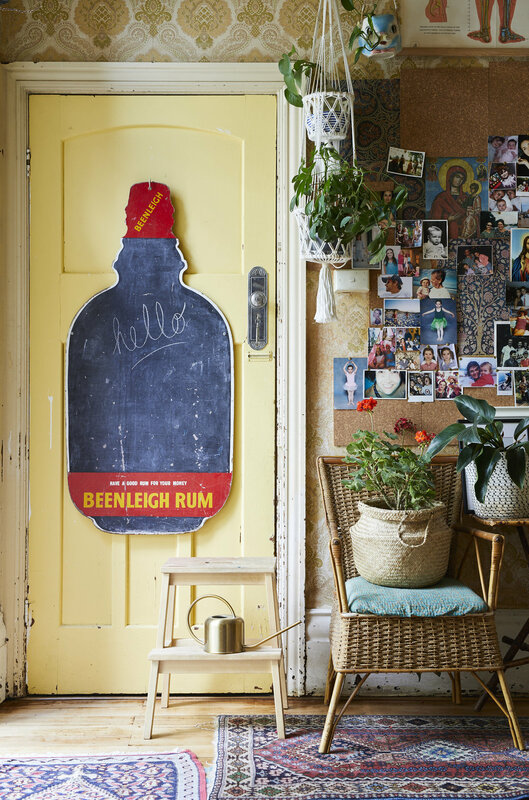 We visit Liesbeth Disbergen de Leeuw's colourful home in the Netherlands, then cross the Atlantic and pop by food writer Erin Ireland's Vancouver pad. Plus two creative UK homes will have you swooning. Photographer Kristin Perers invites us into her stunning East London studio - the Flower Factory - and we get inspired by the interiors of two other lovely London venues. We encourage you to get making with textiles, from fabric scraps to yarn, and share our favourite shops for finding gorgeous linens, cottons and quilts for your home. So, what are you waiting for? Pop on over and place your pre-order to receive your copy hot off the press in a few weeks time! PRE-ORDER AW17 issue now. Free e-zine: Seek Inspire Create by 91 Magazine - SIGN UP! Today we have some exciting news to share as we announce a new project from 91 Magazine! We are always thinking of new ways to provide inspiration to our readers, and we know a lot of you are often impatient waiting for the next print issue! So, coming soon, is a quarterly free e-zine called Seek Inspire Create by 91 Magazine. If you follow us on Instagram you may be aware of our hashtag #seekinspirecreate. It's clear lots of you enjoy using the tag to share your discoveries, inspirations and creations, with over 18,000 images now in the gallery! So, this is exactly what has inspired our new project. The bite-sized e-zine will drop into your inbox every few months filled with things to seek, inspire and create, put together by the 91 team and our talented contributors. Beautiful photography, places to visit, creative people, things to make and much more, condensed into 12 pages - a quick and easy read - yet packed with lots of 91 goodness! Simply sign up to our mailing list to make sure you don't miss this little beauty! Let's face it, we all LOVE an IKEA trip, even with kids in tow it is possible to have a pleasant shopping experience with their child friendly eating areas and various play options to amuse them while you browse. Their ethos and varying price range makes it possible for even those on the tightest of budgets to have a stylish home. In our feature we wanted to demonstrate the versatility of their products; how they can be used for very different tasks and for creating completely different looks. Below is the basic T&Cs for entering this giveaway. It is very important that you read IKEA's full T&Cs before entering. These can be found here. The competition will run from 10:00AM on 5th May 2017 until 11.59pm on 28th July 2017. The prize of a £250 IKEA gift card will be valid in all IKEA UK stores and online. Any images not adhering to all the guidelines will not be considered to win. You must include at least one IKEA product in your image and tag it with #ikearoomrefresh and say what else you'd like to do to refresh your space. IKEA will then select the winner from the shortlist. We can't wait to see how you get creative over on Instagram! And just imagine that shopping spree you could be having with that gift card eh?! If you have any questions, just leave a comment or pop us an email. Good luck and happy IKEA styling! The S/S 17 issue has arrived! Yippee! It's here! The S/S 17 issue arrived with me just this morning, and it is a beauty! If you pre-ordered your copy then I hope to get it to you early next week, so not long to wait now, but here's a little peek inside the pages to whet your appetite! It is packed full of beautiful spaces, from a restaurant near Bristol you won't want to leave, to homes of fab creative folk where every corner is covetable, to our Instagram Edit of accounts you must follow! We also give a gentle nod to our love of paper and the written word in this issue, and as you may have spotted on here or our Instagram feed, we collaborated with Karolin Schnoor to bring you two beautiful screen prints, exclusively for 91 Magazine readers! If you buy them alongside your magazine they are super great value, and will be lovely addition to your walls. If you've already pre-ordered your copy, we hope these have excited you even more about receiving it, and if not, we hope they've whetted your appetite, and convinced you to place your order asap! Pop over now to the shop to order, and do check out the gorgeous (and exclusive!) 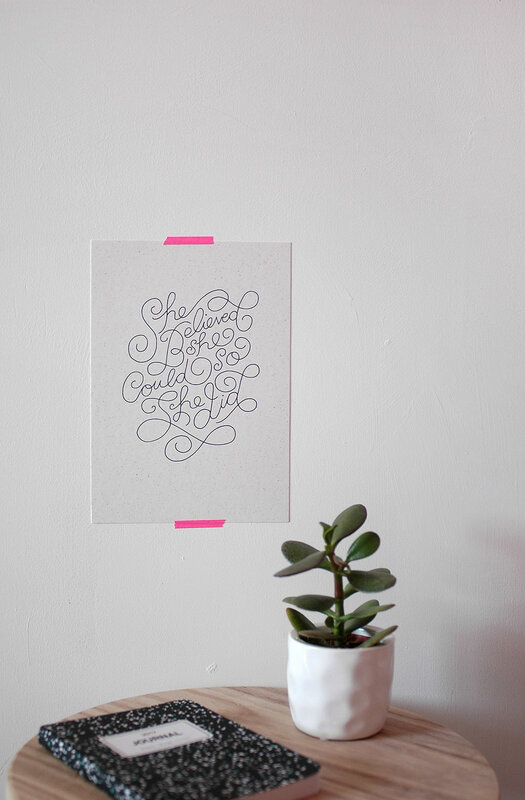 Karolin Schnoor screen prints there too, they are the perfect little treat for your walls! Alongside your copy of 91, you also have the chance to buy some beautiful A5 screen prints, exclusively designed by Karolin Schnoor for 91 Magazine readers. They can be bought in a bundle with the magazine, either as a set of two or individually. If you usually buy your copy of the magazine from one of our stockists, then never fear, it's still possible to buy these gorgeous prints separately too. The prints are screen printed by hand using metallic grey ink onto speckled 250gsm G.F.Smith Bier Weizen paper. Each print is A5 sized. The ink is made by mixing metallic powder into grey ink. These really are special little prints, and we only have a limited amount - so we strongly advise you get in quick! So, don't delay folks! Head on over to the SHOP now to reserve your copy of the mag and bag yourself these gorgeous prints before they go! As 2016 draws to a close, I can't help but reflect on the year and appreciate what a wonderful 12 months it's been for 91 Magazine. As some of you may have heard me say, I very nearly closed the magazine at the end of 2015 - I'd taken a year away from it while writing my book, and I wasn't sure if I could carry on publishing it on my own, as I had been since 2011. But it was exactly this time last year that I spoke to Laura about coming onboard with me. If she had have said no, I'm not sure whether we would be where we are now. I probably would have lost heart, but thankfully she agreed to be my deputy, and I owe it to her that I kept going. I now have someone to share my enthusiasm and passion for the magazine which makes it so much more enjoyable. We had our first editorial meeting on the 7th January and that day we decided - let's get the magazine into print. From there, our little team grew, with Lucy, Kath, Olivia and Catherine joining us, and I can honestly say I have had the best time getting to know these ladies and working with them, they are all hugely talented and full of creative spirit, and I couldn't be more happy to have them as my team. Our first print issue landed in May and that was definitely a highlight of the year. Despite the problems we faced with our printers, we were thrilled to finally hold the magazine in our hands, and then to receive the lovely feedback from readers, it truly was a special time. The support we got from independent shops who decided to stock the magazine also meant so much, and it was a dream come true to see it popping up on the shelves of the most beautiful of boutiques. As well as working with small brands and makers, we were delighted to collaborate with larger stores such as Anthropologie, who not only stock the magazine, but also hosted our launch event in the summer! It was another highlight for me - celebrating with so many creative folk who travelled from far and wide to the event was so much fun and meant a great deal to have so much support. Thanks again to everyone involved! Straight after our party, we cracked on with planning the A/W issue, it was super exciting to start working on new ideas, armed with the knowledge we'd gained from publishing the first issue - top of our list being to find a new printer. As well as my editorial team, we have such a wonderful group of contributors, who show such passion for their work. One of the best things for me as an editor is when the images and words start coming in to me, it's so exciting to see the work and start building the pages. I'm a HUGE fan of collaboration, so we couldn't have been happier to have West Elm and Bluebird Tea Co on board to work alongside on two of our features for the A/W issue. Then to top it off, West Elm invited us to host a curated pop up shop in their store in November, to coincide with the publication of the new issue. What a total honour, I'm not sure how we will top this one! You can read more about the event and the lovely stallholders and workshop hosts who joined us over the four days. As our first year ends, the magazine is currently stocked in 70 shops in the UK, a few in Europe and a couple in Canada. We LOVE every single shop that has it on their shelves, but it was a bit of a 'pinch me' moment when I visited Selfridges recently to find it pride of place in the front row of the interiors/lifestyle section. When I came to London as a student 16 years ago, I regularly spent afternoons browsing the magazines in Selfridges, so I feel super proud to see it amongst all of these mainstream and independent publications. Laura and I and the rest of the 91 team would like to say a MASSIVE thank you to everyone whose supported us this year. Contributors, guest bloggers, sponsors, advertisers, stockists and of course - our readers! I would be surrounded by cardboard boxes full of magazines for the rest of my days if it wasn't for you guys! Thanks for buying 91, and thanks for sharing the love online, it means so much to know that we are able to produce a publication that resonates with so many of you. We are sold out of the S/S 16 issue (although you *may* still be able to find a copy via some of our stockists) and we are already down to around 200 copies of the A/W issue left, so don't delay if you haven't already got it! We're busy working on S/S 2017, and can't wait to share it with you in a few months time! But for now, we wish you a wonderful 2017 - follow your creative dreams and live the life you love! Last week, from Thursday until Sunday, we were honoured to host our first ever pop up event at West Elm's beautiful Tottenham Court Road store in London. The collaboration came about after we teamed up with West Elm for our Room Refresh feature in the current issue of the magazine. 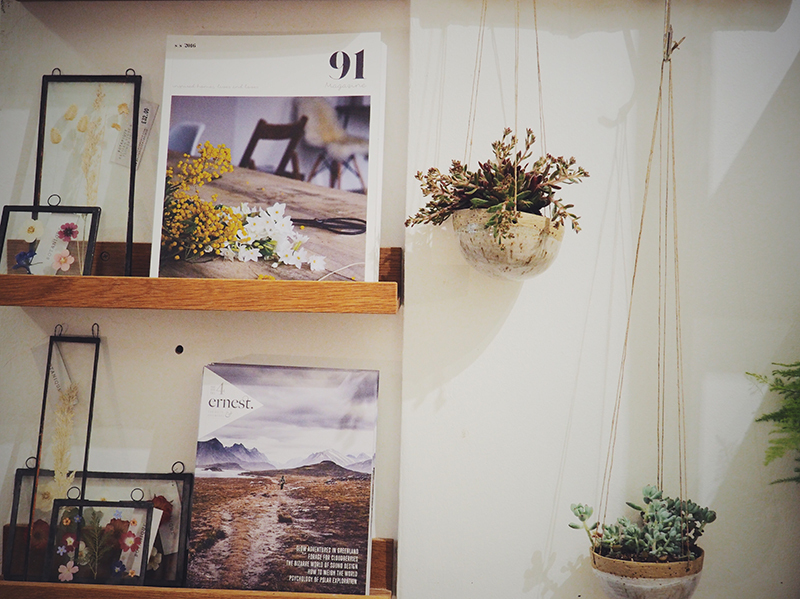 We were thrilled to be invited to not only showcase 91 Magazine in the store but also curate a selection of independent sellers that we love and who we felt embodied the magazine. Plus, as we love a little bit of creativity around here, we also set up 11 workshops over the course of the four days, ranging from stop motion video with Xanthe Berkeley through to the basics of weaving with our very own 91 designer Lucy Davidson. It was lovely to spend a few days peering into the world of high street retail, to meet lots of people and spread the word about 91 Magazine, but for me personally I wholeheartedly enjoyed spending time with the sellers and workshop hosts who we had chosen to join us. We had a glorious mix of sellers ranging from Lollipop Design's colourful and graphic stationery and homewares, to Botanique Workshop's beautifully hand crafted, botanically inspired pieces, to Bluebird Tea Co's delicious range of loose teas. We all regularly found ourselves perusing the other sellers stalls, scheming on what we would snap up before the end of the event! Plus lots of the makers could be found crafting away at their stands during quiet periods - it was so lovely to get an insight into their making process. There was such a wonderful sense of camaraderie amongst the sellers, despite all of us being on our feet for four days. We all shared our experiences of running indie businesses and working for ourselves, and everyone was genuinely happy for other sellers when they made a good sale. As for our workshops, I can honestly say I wish I could have participated in every single one! I did my best to hover when they were taking place, but I desperately wanted to sit down and start making with the groups! Overall it was a great four days, and if you came along we really hope you enjoyed it! A huge thank you to all our our sellers and workshop hosts who made the event SO enjoyable, and of course, thanks to West Elm for inviting us into their lovely store! It's definitely given us the taste for taking part in events and meeting our readers in person, so watch this space folks! Hurrah, it's finally here! We've been bursting to share our second printed edition with you for ages, as we are so pleased with how it has turned out! Every feature really is a visual treat - it's been really hard not to post all the images on social media! But, we do like to keep it all under-wraps as much as possible (apart from the occasional sneak peek!) as we want it to be as fresh and exciting for you when it arrives on your doormat. So here is just a little glimpse inside the pages, and we hope (if you haven't already!) it'll be enough to make you rush over to our BUY page and order your copy. The issue takes a little inspiration from the hottest 'trend' right now - Hygge - and particularly the one thing we can't do without at this time of year (or anytime in fact!) - Tea. If you were one of our first 250 orders, you will be receiving your delicious pack of Bluebird Tea Co Earl Grey very soon along with your magazine. We collaborated with Bluebird in our 'Three Ways with...' feature and you will also find them at our Pop up event at West Elm, where they'll be selling their tea AND hosting tea-blending workshops! PLUS, photographer Emma Harrel and stylist Charlotte Page who put the feature together will be hosting a workshop where they will show you in person who to make these sweet teabags as well as revealing lots of their photography and styling tips! As always, we have featured some fabulous creative people, beautiful homes and inspiring spaces from studios to shops. Katie Robbins AKA Ceramic Magpie invited us to her garden studio for a tour, and we also bring this feature to life when Katie joins us at West Elm selling her work and teaching a clay Christmas decoration workshop! Thanks again to everyone who has already pre-ordered this issue. It truly gives us a boost as we put the finishing touches to the magazine to know that you can't wait to get your hands on it! Of course it is still possible to order your copy now or (if you can wait til then!) we will be selling it at the West Elm pop up too. Oh, and please do share your pics of the magazine too, tagging with #my91magazine - we absolutely love to see them!